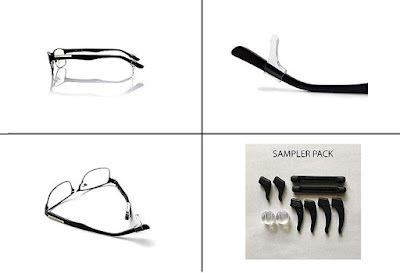 12 Must Have Products for Those who wear Eyeglasses. When we need eyeglasses, most of us have an option to go for contact lenses or eyeglasses. But some find eyeglasses more comfortable and manageable. 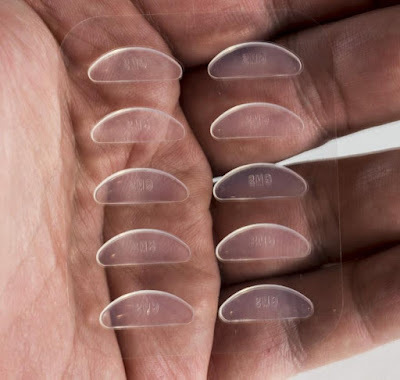 And when it comes to contact lenses, some feel eyewear effects their look, the nosepads leave marks from extended usage, and managing them is an issue. At the end of the day it's your personal choice. And if you are among those who use eyeglasses then these products are sure to make things a lot easier. 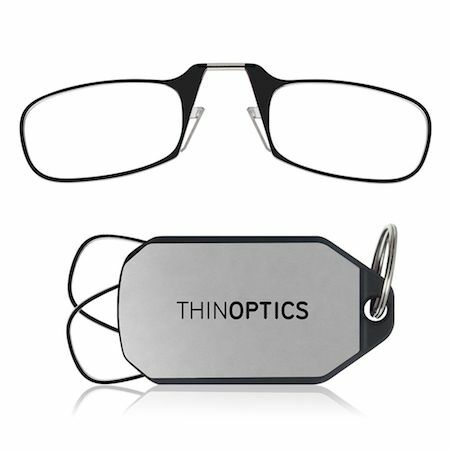 Clip-On Eyeglasses Holder: Had I found this Clip-On Eyeglasses Holder earlier, it would have saved many of my sunglasses. As out of habit when not in use, I put them in my shirt pocket and they always get scratched. But now that we got Clip-On Glasses Holder, things are supposed to be different. It uses small-but-strong magnet/steel clip combo that works through clothing and holds your eyeglasses right where you want them securely even when you lean over or move around. Keepons: Keepons are clear antislip sleeves designed to stop your eyeglasses from falling down your nose. These are comfortable, near weightless, and are good for daily activities or sports. 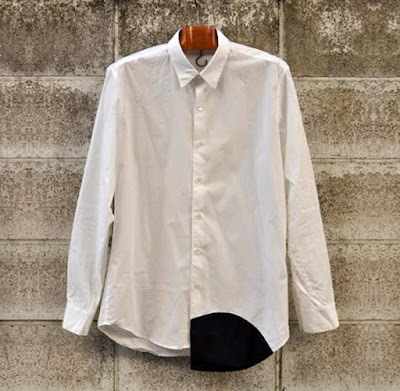 Wipe Shirt: The Wipe Shirt comes with a strategically placed built-in microfiber cleaning cloth to clean your eyeglasses. So next time you need to clean your eyeglasses you don't need to search around for a microfiber cleaning cloth as you go it on your shirt. 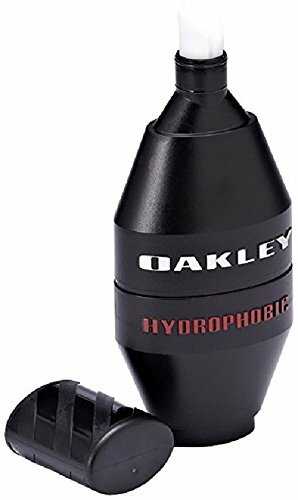 Oakley Nanoclear Hydrophobic Lens Cleaner: The Oakley Nanoclear Hydrophobic Lens Cleaner comes in easy to use pen shaped design, it cleans your eyeglasses lenses and also repels dirt, water and oils without affecting the optical precision and clarity. 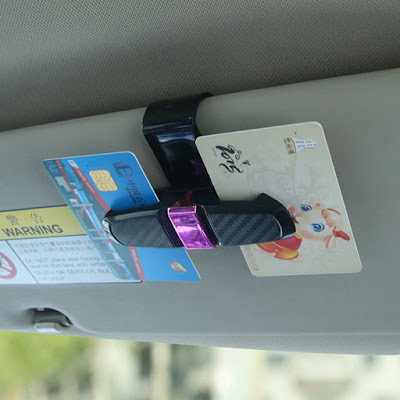 Carbonfiber Car Organizer: The Carbonfiber Car Organizer clips on the visor and holds your eyeglasses, sunglasses, cards and more. 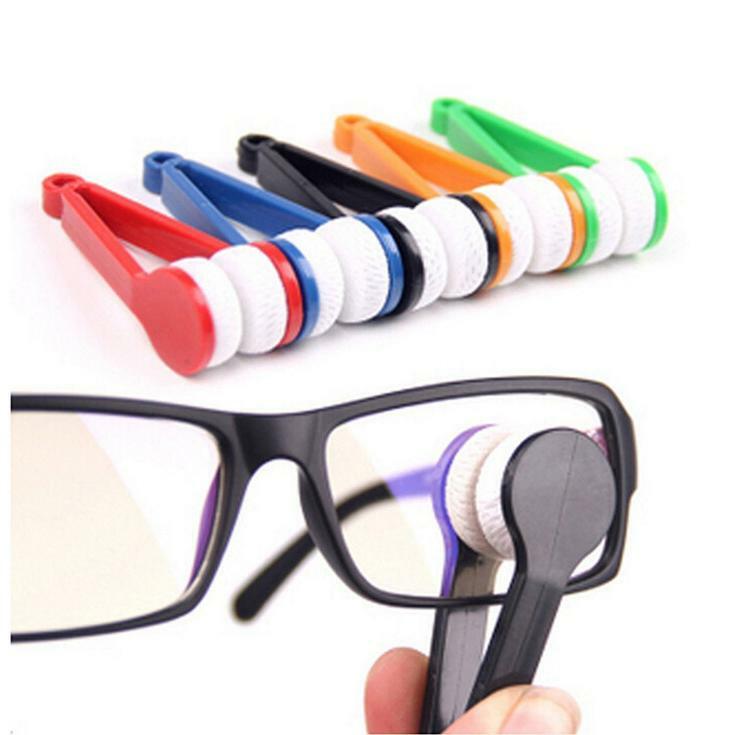 Microfiber Spectacles Cleaning Tool: The Microfiber Spectacles Cleaning Tool cleans both sides of a lens at one go. It's compact, and can be taken along anywhere you go. It's available in 5 colors. 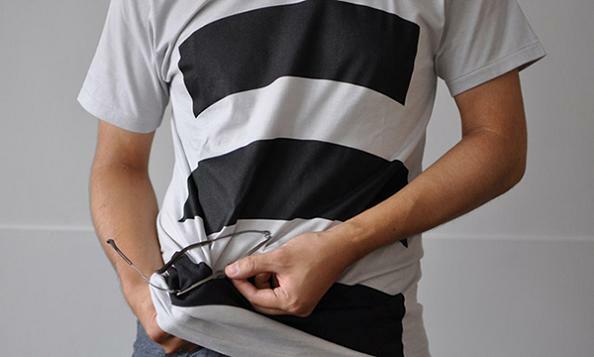 Wipe T-Shirt: This cool wipe t-shirt comes with built-in microfiber cloth for cleaning gadgets and eyeglasses. Retractable Keychain Glasses: If you are among those who need reading glasses and keep forgetting where you put them, then these Retractable Keychain Glasses are just the thing for you. Bola: Bola is a leather eyeglass necklace with metal loop that keeps your eyeglasses close to you so you need not search for them. 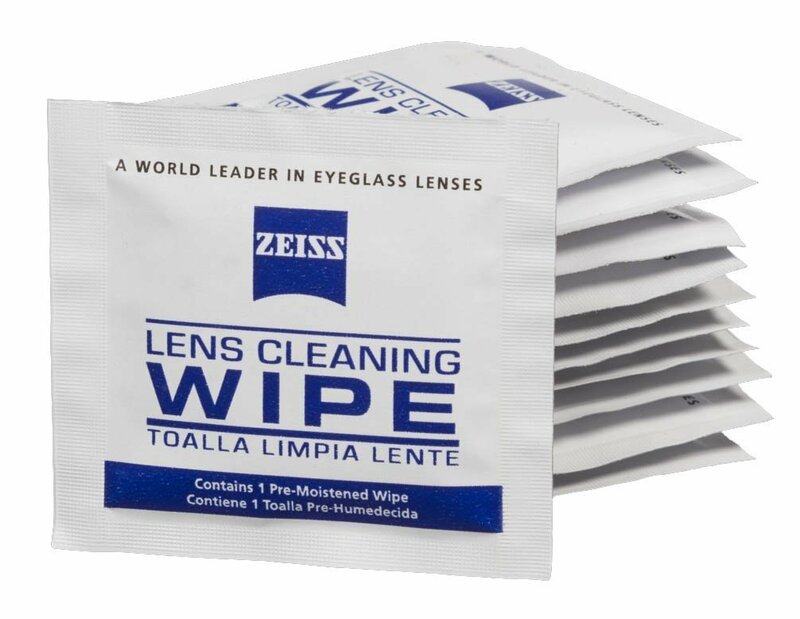 Zeiss Pre-Moistened Lens Cleaning Wipes: The Zeiss Pre-Moistened Lens Cleaning Wipes are just the thing you need to easily remove smudges and dirt from your eyeglasses lenses. Nerdwax: Nerdwax is a beeswax based blend of all natural ingredients that's specially formulated to keep your eyeglasses in place. 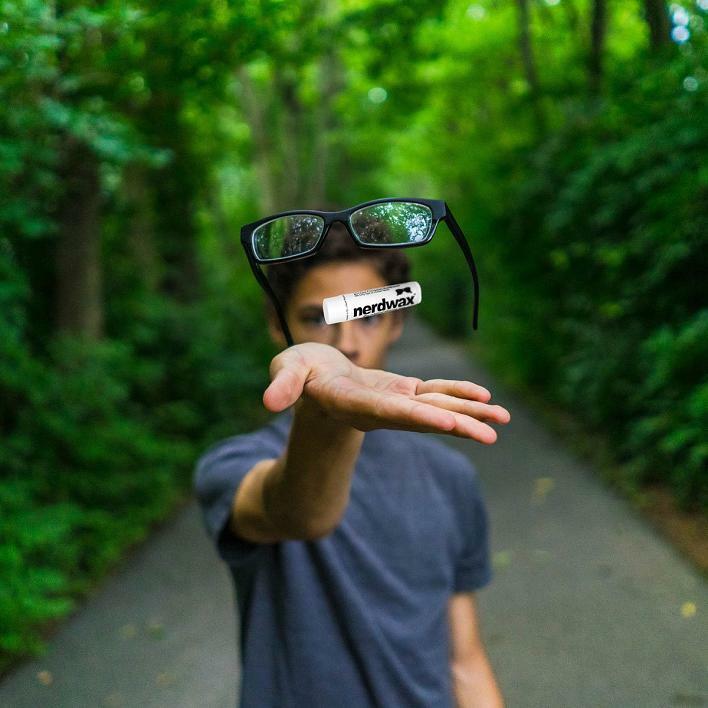 Ultra-Thin Nosepads: These Ultra-Thin Nosepads stop your eyeglasses from slipping off from your face while making them more comfortable to wear. 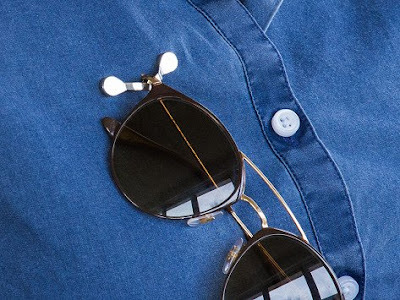 15 Creative Sunglasses and Unusual Eyewear Designs.